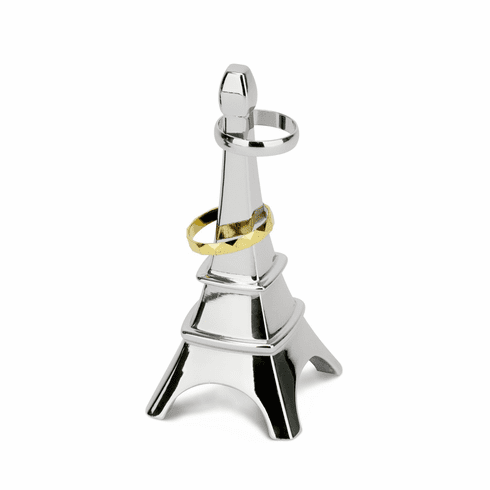 Store rings conveniently and safely on this cute Eiffel Tower-shaped ring holder from the Muse family of ring holders by Umbra. Rings slip over the top of the tower for safe-keeping at the sink, dresser or bedside. Constructed of cast-metal with a sparkling chrome-plated finish, item measures 3-Inch by 1-1/2-Inch by 1-1/2-Inch. Designed by Alan Wisniewski for Umbra-the worldwide leader in innovative, modern, casual and affordable design for the home.